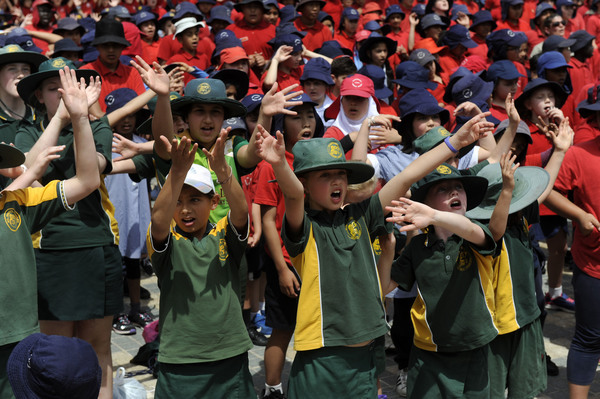 Schools joined together as one chorus at Harmony Square, Dandenong as part of a national simultaneous singing event. The gathering of 750 students from eight local schools filled the square with their bodies and voices at 12.30pm on 1 November as part of the Music: Count Us In celebration day. They joined 3000 schools and 666,000 students across Australia who at the same time sang One Song – a creation by five student songwriters under mentorship of performer Justine Clark and composer John Foreman. The federally-funded program run by Music Australia was installed to fill a missing music education in many government primary schools. 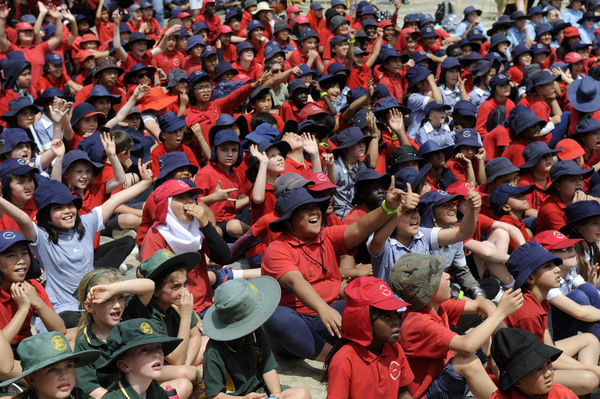 Participating schools included Dandenong, Dandenong West, Dandenong South, Lyndale Greens, Wooranna Park, Noble Park, Silverton, Wallarano, Yarraman Oaks, Chandler Park, Athol Road, Heatherhill, St Joseph’s Catholic primary schools, Heatherhill Kindergarten and Lighthouse Christian College.